﻿Please, attach also publication information (title / number) to come. This self-archiving service is for full-texts of publications from 2017 and 2018. We also accept full-texts of publications from 2010-2016, but unfortunately there will be a delay in archiving them. This service is for staff and students who have a TUHAT profile. HELDA - full text repository for research articles produced by University of Helsinki. Zenodo - open dependable home for the long-tail of science, enabling researchers to share and preserve any research outputs in any size, any format and from any science. Maintained by CERN. ORCID is a registry of unique researcher identifiers and a transparent method of linking research activities and outputs to these identifiers. We encourage researchers to enter their ORCID identifier into your personal TUHAT info. Helsinki University Library also provides ORCID support. For national plans for ORCID, check CSC wiki. ORCID allows you to link your ORCID record also to other identifiers, e.g. Scopus Author ID, or to link to ORCID from your ResearcherID record. This will synchronises publication data with the ORCID record. 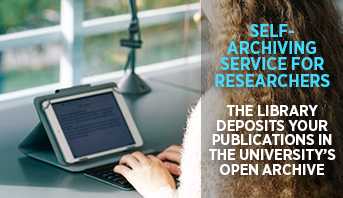 University of Helsinki requires open access depositing via TUHAT (self-archiving). From TUHAT the information is updated directly to digital repository HELDA. Long-term storage and access of your publications are secured. Publications get the permanent referable web address. Publications are regularly scanned to the international digital archives and portals. Publications can be easily found by search engines, such as Google Scholar. Funding providers more and more often demand open access publishing from the projects they provide funding. Open publishing in Helsinki University´s digital archive is always a free alternative to the researcher. Usually publishers allow self-archiving of author´s accepted manuscript (AAM). Researchers affiliated with the University to self-archive their scientific articles in the University’s Open Access repository HELDA via the research information system TUHAT. The version to upload is, if possible (taking notice of publisher´s conditions), the final accepted manuscript (after peer-review, before the publisher’s typesetting). Our instructions take notice of alignments for Open Science defined by Finnish Ministry of Education and Culture. More information on researchers' information use on TUHAT-guide. Version of manuscript, improved and corrected by the peer-reviewing. Publisher´s layout and page numbers excluded. Published article, final publisher´s version with the layout. ﻿Version self-archived to TUHAT Normally not self-archived. Secondary option in case the publisher does not approve open access self-archiving of the publisher´s pdf. The most common case. Primarily self-archived version if publisher approves self-archiving into the institutional oa-repository. Typeset proof refers to the version of an accepted manuscript that includes final layout and other specifications from the publisher. Proof version is not suitable for self-archiving. The University of Helsinki recommends that researchers only sign over simple publishing rights in the publishing contract, i.e., retain the right to use the text elsewhere. If the researcher concludes a publishing contract which assigns to the publisher all rights to the article, the publisher or journal may prohibit self-archiving. In this case, the researcher must notify the University of any deviation from the open access policy when entering information in TUHAT. Researchers should inform their co-authors about the self-archiving requirement of the University of Helsinki and request their permission to self-archive their work already during the writing process. If the article in question has already been published, the permission to self-archive the text must be obtained from all authors afterwards. Articles may also contain copyrighted material belonging to a third party, such as illustrations or graphics. If the permission to use these materials applies only to printed editions, separate permission is required to use them for self-archiving purposes. Most academic publishers and publications allow researchers to save a copy of their final, peer-reviewed version (post-print or final draft) of their article in an open digital repository. Information the self-archiving policies of different publishers and publications can be found in the SHERPA/RoMEO service. If information on the journal’s publishing policy is unavailable and the publishing contract offered by the publisher or journal fails to mention the matter, researchers can suggest that such a clause be added to the contract. The publisher may also set an embargo period during which the article may not be publicly accessible online. When an article is uploaded to the open access repository of the University of Helsinki, the Library checks the applicable open access terms and conditions and ensures that the embargo period (if any) is observed. Commercial repositories such as Academia.edu or Research Gate give you the possibility to increase web presence and disseminate your work. Always check from Sherpa/Romeo the requirements for social networking from original publisher of your work. Probably increases one’s impact and visibility. Remember first to self-archive your work to the institutional repository (Helda in University of Helsinki). Long-term access and storage are not guaranteed. No permanent identifiers, quality or version control. Not an option for permanent archiving or citations in academical publications. Commercial repositories include many web 2.0 features, such as following one’s colleagues or getting followed by them. Requires passwords and logging in. Can use the data you (or your friends) have uploaded without your consent and sell it to the third parties. 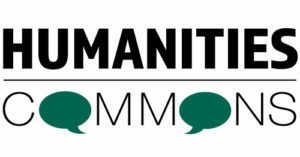 Discussion forums and direct feedback from the research community. Multinational big companies can buy the repository. Can change their policies anytime and turn from free to non-free or introduce fees (compare Academia.edu or Spotify). Possibility to archive teaching material, drafts and other material. Often include ads and send you spam. A period of time defined by the publisher, calculated from the publishing date of the original publication, during which the author has no permission to publish a self-archived open access copy of the publication in question. Information found in SHERPARoMEO. Hybrid article refers to an open access article the author or her/his institution has to pay a publishing fee (APC) determined by the publisher. Rest of the articles published in journal remain paywalled (subscription fee has to be paid). As a researcher of University of Helsinki you are entitled to discounts on APCs and BPCs library has negotiated. The University of Helsinki nor the Academy of Finland recommend publishing in hybrid-oa journals. However, publishing in hybrid journals may be justified at the moment, if it facilitates the transfer to a fully open access model, read more. Remember to self-archive your scientific articles primarily in the University’s research information system TUHAT. After ensuring the long term storage and accessibility, you can also promote your research through social networking sites. Academic social networking spaces like ResearchGate and Academia.edu offer possibilities for researchers to share their articles. The permission to share published articles must anyhow be checked from the publisher. However, these services don´t meet the terms of open access required by the most funding providers. The use of persistent researcher or article identifiers, persistent availability or the harvesting of the data is not guaranteed in networking sites. 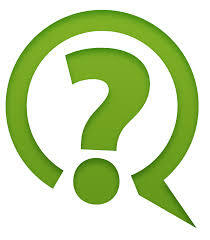 There can also arise reasonable doubts of following the immaterial rights of the articles´s owner. Also (self)reuse of the data can be restricted. Information about self-archiving policies of different publishers and publications can be found in the SHERPA/RoMEO service.